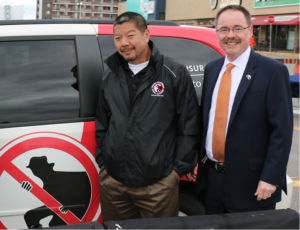 On November 30th 2015 Mr.Richard McMullen – President of the National Capital Area Crime Stoppers (NCACS) and Sgt. Art Wong – police coordinator for NCACS met with the provincial board of directors and police coordinator for Échec au Crime Quebec. The meeting resulted in an agreement for more collaborative work, exchanging ideas and strategies.echec au crime is Crime Stoppers’ equivalent, servicing all of Quebec with the exception of Montreal.